December 2014: Fracking of shale gas has been added to the mix of energy issues that have dominated headlines over the past year. A surprising element to the debate however has been the potential for fracking gas in London. 25 December 2014: Hackney Gazette story on abseiling engineers providing insulation to a number of tower blocks in Tower Hamlets. Energy supplier EDF Energy is funding the work as part of their Energy Company Obligation (ECO) targets. EDF state that this is one of the largest ECO projects they have worked on with a London borough with some 500 homes included in the scheme on the Bancroft, Avebury, St Stephen’s and Chicksand estates. Work is expected to be complete by March, 2016. Tower Hamlets has set out its ambition to access ECO funding in its recent 2014/15 Sustainability Action Plan. This work has been planned for sometime now – details of which are set out in a 2013 approval paper from Tower Hamlets council here. Delays have been most likely been caused through the Government’s changes to the ECO programme which the Prime Minister ordered in December 2013 (to which many concerns were raised by practioners to a DECC blog on the ECO changes earlier this year (search for words ‘Brent’ and ‘London’ in blog)). Read full Daily Telegraph article here. December 2014: The Institute for Sustainability, in collaboration with Transport for London (TfL), has launched a review report that outlines how to calculate the economic and operational feasibility of delivering London’s plan for zero emission buses, helping improve air quality in the city. Full details and report available here. December 2014: The House of Lords Science Science & Technology Committee have been conducting evidence sessions earlier this month for their current inquiry into the Resilience of electricity infrastructure. It is clear that its [UKPN’s] network in London does not have available spare capacity to cope with future demand. This poses risks to future development and refurbishment cycles because developers and property owners are unable to be sure of the availability of electricity capacity. Further uncertainty results from the fact that it can take up to 3 years for substations to be reinforced and installation works completed so as to have sufficient capacity to supply a new building. The Corporation is also critical of Ofgem’s determination of UK Power Network’s (UKPN) submission to the next regulatory framework period for investment (RIIO-ED1) – as summarised by Ofgem in the following press release. The Corporation states “Ofgem[‘s] proposed 12% reduction in the UKPN’s overall spending …would mean a loss of money available for investment in central London of around £200 million. This is highly likely to have a significant impact on UKPN’s ability to undertake a suitable level of network asset replacement work in the period 2015-2023. Cuts in investment are likely to lead to more widespread and frequent network outages due to the age of network assets.” Ofgem has in fact put pressure on all distribution network operator’s (DNOs) business plan submissions, and this drive down in UKPN’s cost proposals would not necessarily mean a direct reduction in investment in central London: it would depend on where UKPN apply savings to. The memorandum references research undertaken by the British Council for Offices which outlines that the forthcoming closure of the UK’s legacy generation plant and lack of available new sources of generation has increased the likelihood of blackouts from 1 in 3,307 years in 2012 to 1 in 12 years in 2015. The Corporation of London’s evidence have been advised through research they have commissioned including – Delivering Power:The Future of Electricity Regulation in London’s Central Business District – and the Future of London’s Power supply. The Mayor has also written to the Secretary of State raising similar concerns over London’s electricity infrastructure. 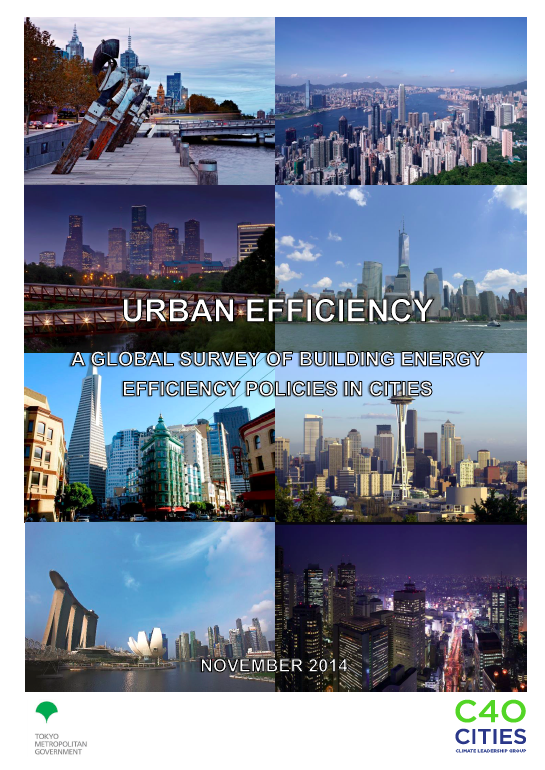 December 2014: Paper presented in the latest issue of academic journal Energy in Buildings – Microclimatic effects of green and cool roofs in London and their impacts on energy use for a typical office building – which presents the results from a modelling study that assessed the effectiveness of retrofitted green and cool roofs at reducing energy use for a typical office in Central London. These technologies were compared to application of retrofitting traditional insulation. 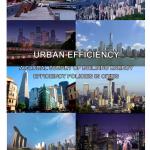 Unfortunately – the paper is not available for free..
December 2014: Two papers from the December issue of academic journal Urban Climate – presented at ICUC8: The 8th International Conference on Urban Climate and the 10th Symposium on the Urban Environment – both publicly available. Energy exchange in a dense urban environment – Part I: Temporal variability of long-term observations in central London – Though anthropogenic impacts on boundary layer climates are expected to be large in dense urban areas, to date very few studies of energy flux observations are available. We report on 3.5 years of measurements gathered in central London, UK. Energy exchange in a dense urban environment – Part II: Impact of spatial heterogeneity of the surface – The centre of cities, characterised by spatial and temporal complexity, are challenging environments for micrometeorological research. This paper considers the impact of sensor location and heterogeneity of the urban surface on flux observations in the dense city centre of London.